From Goodreads: The papers have called me a monster. You’ve either concluded that I am a braggart as well as a sadist or that I have a deep and driving need to be caught and punished. In the sweltering heat of an Atlanta summer, a killer is pushing the city to its breaking point, preying on the unsuspecting, writing taunting letters to the media, promising more death. Desperate to stop the Wishbone Killer before another victim meets a shattering end, A.P.D. lieutenant Aaron Rauser turns to the one person he knows can penetrate a deranged mind: ex–FBI profiler Keye Street. And you must certainly be wondering if I am, in fact, the stranger you seek. Keye was a rising young star at the Bureau until addiction derailed her career and her life. Now sober and fighting to stay so, Keye picks up jobs where she can get them: catching adulterers, serving subpoenas, chasing down bailjumpers, and dodging the occasional bullet. With multiple victims, little to go on, and an entire police force looking for direction, the last thing Keye wants is to be pulled into the firestorm of Atlanta’s worst nightmare. And then it suddenly becomes clear that the hunter has become the hunted—and the stranger she seeks is far closer than she ever dared imagine. An electrifying thriller debut, The Stranger You Seek introduces a brash, flawed, and unforgettable heroine in a complex, twisting novel that takes readers deep into a sultry Southern summer, a city in the grips of chaos, and a harrowing cat-and-mouse game no reader will ever forget. 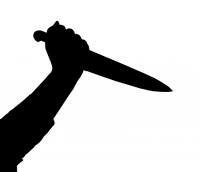 NOTE: I really love Thrillers but they have to be done well in order for me to close the book with “WOW! Did that just happen?”! Since I refuse to give anything away–let me just say that The Stranger You Seek had me saying exactly that! Bravo on the ending Amanda Kyle Williams! 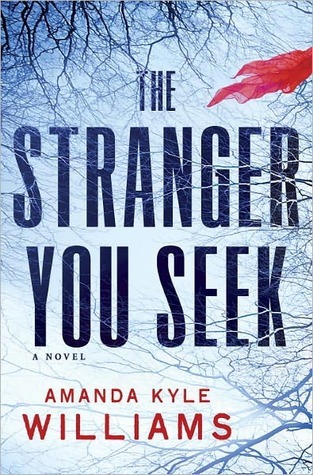 What I Love: Since I can’t really talk storyline or twists/turns (which rocked the house), I am going to talk about some other things done really well in The Stranger You Seek. Pacing in a thriller is critical and this book is paced extremely well. You get caught up in the cat/mouse game and it never loses a beat. Character development was fantastically done and brilliantly executed. You guys know I am a fan of great endings and this one really knocked it out of the park. The whole book was just put together very well. What I Liked: I really liked the inclusion of blogs, message boards, and a techy geek! They are all such important parts of our lives these days and it is really fun to see them written into stories. In this case, I don’t think you can actually track killers anymore without someone who is technically savvy at gathering information. AKW did a great job of not minimizing that importance. So going to add this one to my shelf! Techy geek! That is like right up your ally! :)Thrillers still scare me, I can't get myself to read one, which is crazy considering the gory vamp novels I've read. The inclusions of the blogs sounds like a great idea. Oh this sounds so good despite me screaming at your Bates Motel image…. ;)I enjoy a good thriller and this looks like it fits the bill! Sweet! I have to admit that what first drew me in about this book is the author's name. (I mean, with the names Amanda and Kyle, how could I not? )This sounds really good, though, and on a perusal on Amazon, one review snippet compared Keye to Kinsey Millhone who I absolutely adored when I was younger. So… The Stranger You Seek is now on the wishlist.